This took me 4 hours to cut the pic of the individual charas.. Pretty good for a first attempt. The first thing I'd suggest is to clean up the scan some more; they still look grainy in some places. Also, it looks as if you just cut the scans out and stuck them on a background. Try to integrate them so that the foreground and background complement each other. wah !! not bad one for your first try. This is pretty good considering it's your first photoshop attempt. 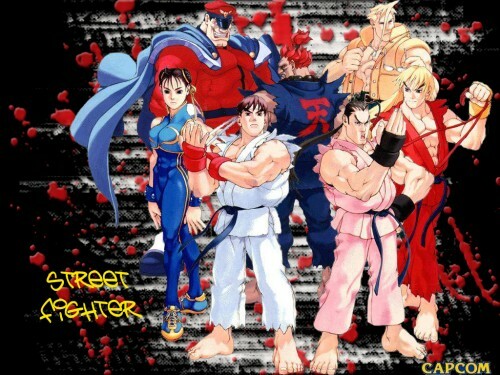 Ohh :O one tribute for Street Fighter!